Issue No. 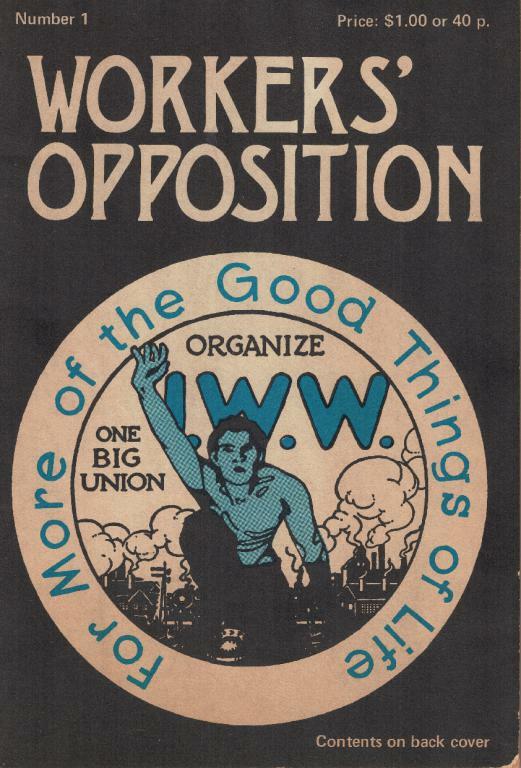 1 of Workers' Opposition, a publication produced by members of the Industrial Workers of the World (IWW) during the late 1970s in Chicago. This issue scanned for libcom.org and purchased from funds donated by our users.